New extensions, bundles of joy and a whole lot of support! This past month has flown by so let’s have a look back at the past 30 days. Our total revenue for the month of April was $12,517 and we are happy to have passed the $10,000 mark from our first full month of sales. 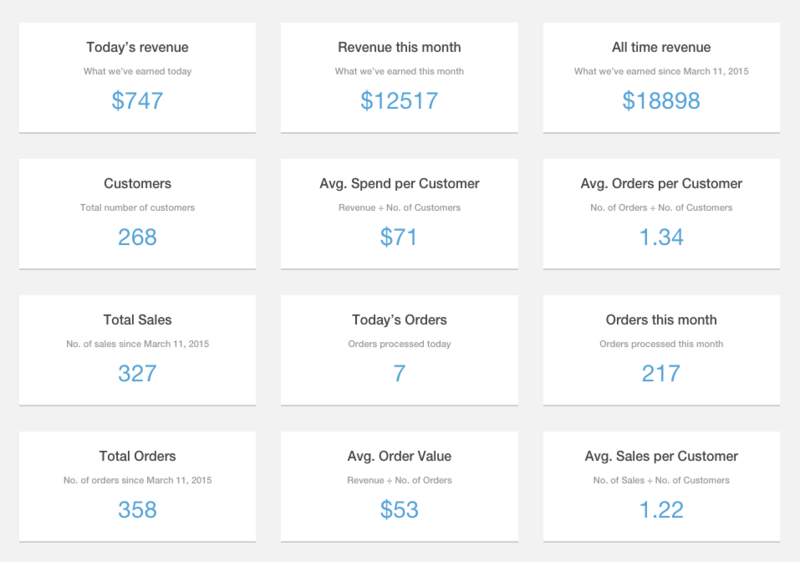 The revenue was generated from 217 orders and we have been able to increase our average spend per customer to $71. This is an increase of $18 from the end of March when it was $53. 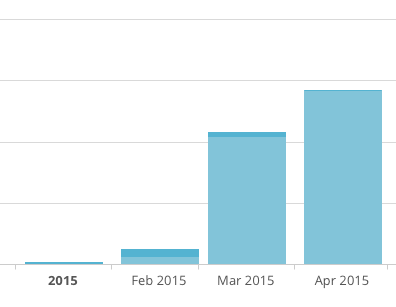 The average daily revenue for the month was $417 and we had one day where revenue was over $1000. The core version of Ultimate Member continues to be installed on more sites and we passed 6,000 active installs on the 27th of April. We passed 4000 active installs on the 31st of March meaning we have had over 2,000 new installs this month. The plugin now appears on the 6th page of the plugin repo when searching by popular plugins which puts Ultimate Member in the top 180 most popular plugins. In April we released three new premium extensions and one free extension. The paid extensions we released were: Real-time Notifications, Profile Completeness, Followers and the free extension was Online Users. This has brought the number of extensions we now have up to 11. The first half of April sales were mixed. We had a few good days but also a few days where revenue was around $100 which is not enough to support two people full-time even before factoring in other costs and taxes. To increase revenue in the short-term we decided to introduce a core extensions bundle which would allow users to purchase all of our extensions at a significant discount rather than purchasing them individually. To make the bundle attractive, it not only includes our current extensions but also includes all future extensions we make. So as long as a customer has an active bundle license they will get access to any new extensions we release. Compare this to our best-selling extension social login which has brought in sales of $3,276.80 since the 11th of March then you can see the bundle has proved to be quite popular. This is most likely because the bundle is priced low at the moment. As we release more extensions in the coming weeks and months the bundle is only going to increase in price so users are taking advantage of the low price the bundle is currently selling for. As well as selling extensions we also introduced a priority support package so users who want faster and more in-depth support can pay for it. We use HelpScout to manage priority support. Working with their help desk software makes handling support a breeze and is definitely easier than managing support via our community forums. 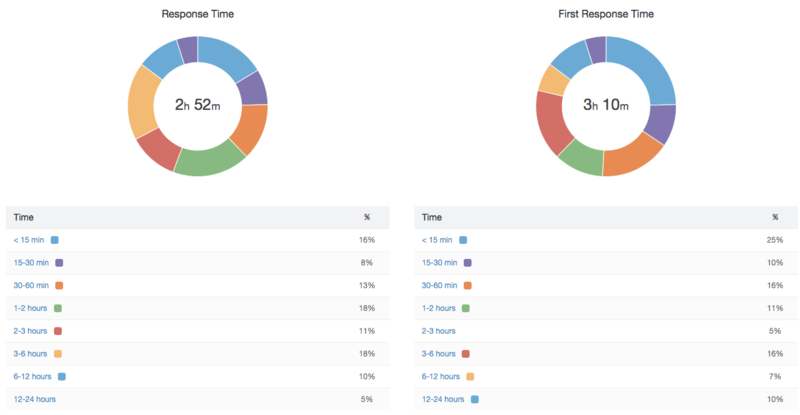 Our average response time for April was 2h 52m whilst our first response time was 3h 10m. I never believed priority support would bring in much revenue before we released it but we’ve had 18 people purchase priority support bringing in revenue of just under $1000. However, for us offering priority support is not so much about making money but rather aligning the expectations of users as to what is included with free support. Because like any popular plugin that provides support to free users it has a massive drain on time and resources. So priority support was introduced as a way to ease the support burden. This month we’ve had 543 new topics created on our forum. That’s an average of 18.1 new topics created each day. We’ve also answered 270 topics on the WP plugin forum since we first released the plugin. This brings the total number of support tickets we’ve dealt with to 1750 since the 21st of January. Free support remains a challenge and we’ve had to slow down our response times for free users. However, in the vast majority of topics we are still able to respond within 24 hours. When we started selling our extensions we added a notice to the plugin which asked users if they wanted us to track their site and subscribe them up to our mailing list and in return they would get a 20% discount code to use on our extensions. I can tell you the vast majority of these discount codes are not used but it has allowed us to grow our mailing list quickly and we now have over 2,500 subscribers. Whilst this method has allowed us to greatly increase our subscriber numbers it has also caused our open and click rates to go down. We now have an average open rate of 37% and a click rate of 9%. As you can see from the screenshot below this month we’ve had 24,773 sessions and 9,576 users on the site which resulted in 154,663 page views. Compared to March, the number of sessions has increased by 29.9%, the number of users has increased by 21% and page views has increased by 15.5%. All things considered April has been a pretty good month for us and has enabled us to get a better picture of where we are at in terms of revenue and running a profitable and successful business. Hopefully we will be able to continue growing revenue over the coming month as we continue to release more extensions. Feel free to share your thoughts in the comments below.